A lot of people think that checking their breasts is scary or intimidating. And it was - back when there was a 14 step handout filled with arrows and all kinds of complicated instructions. Which is why nobody was doing it. Guess what, nothing works if you don't do it. Which is why the smart people at the American Cancer Society and the College of Gynecologists & Obstetrics developed something much more manageable. 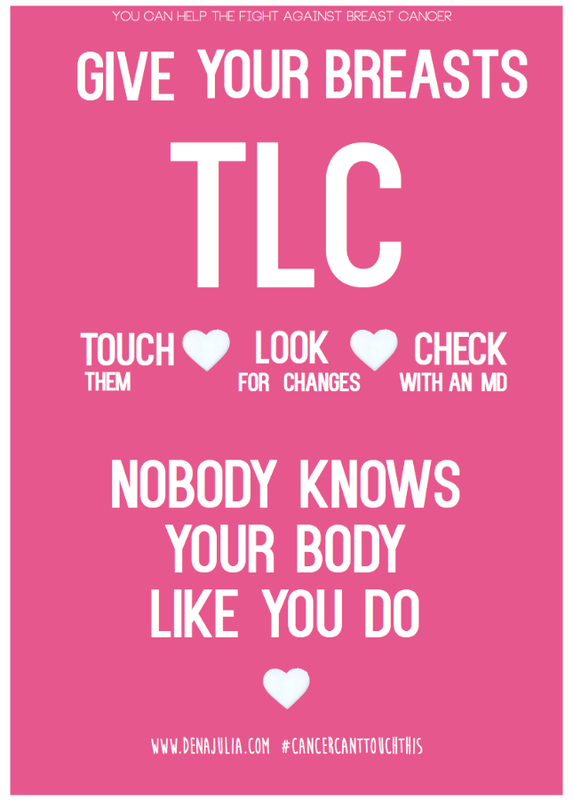 It's called TLC, and it's just as gentle and easy as it sounds. I decided to create this easy guide to help explain it. If you like it, or you like women, feel free to share it around, repost it, put it on your fashion blog. But most importantly take care of yourself. I love you and I wouldn't wish all of the things I've been through on my worst enemy, so I definitely don't want it for you.